We would like to begin by thanking everyone who helped sponsor us in last year’s Air Race Classic. It was an amazing experience that none of us will ever forget! The money donated literally fueled our race, among other things. We bought fuel, hotels, registration, and other necessities on the road. With your help we were able to place third collegiately and eighth overall! We are thankful for the opportunities provided to us and look forward to this year’s race. The Air Race Classic is a way for us to strengthen and challenge our flying skills. At UND we are focused on training, and refining our piloting abilities. Flying the race gives us an opportunity not only to use those skills, but learn and build on them in a competitive environment. Last year we had to navigate the mountains of New Mexico, flying over the desert, around large cities like Minneapolis, while flying as fast, and safe, as possible. Starting in the 1920s, the Air Race Classic (ARC) was one of the only competitions for female pilots. Amelia Earhart, Louise Thaden, and Jackie Cochran are among some of the first women to compete in what was then known as the “Powder Puff Derby.” Overcoming adversity that existed in the industry, these women were pioneers of the craft. Today, the tradition continues in this exciting showcase of airmanship and teamwork. Teams of 2 or 3 pilots will have four days to complete the course stretching over 2,400 miles, flying normally aspirated, piston-powered airplanes. Creating a greater challenge the teams are limited to visual flight conditions and daylight hours only. Because of this challenge, the teams are reliant upon good weather conditions, and a good meteorological forecast. It is a competitive outlet for women pilots and continues to be one of a kind. Being a participant in the ARC is a life-changing event. The race provides opportunities for pilots of all skill levels and backgrounds to race against one another in a diverse environment. 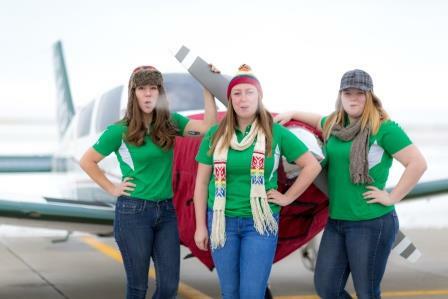 The team experiences types of flying unavailable in North Dakota. In the air, every team keeps their strategy to themselves—it’s full throttle racing. On the ground, the atmosphere changes and becomes a welcoming community. Experienced racers share stories and offer advice about more than just flying. The women within the race become lifelong friends and after over 2,400 miles in a small airplane, the team becomes inseparable. The Air Race Classic is a celebration of the achievements of women pilots through the last century. Even today, aviation is heavily unbalanced and male dominated. This event allows UND to be part of the change toward an equal industry and inspires the team to do more for women in the field. The team believes that outreach is the most successful way to share how passionate they are about aviation. 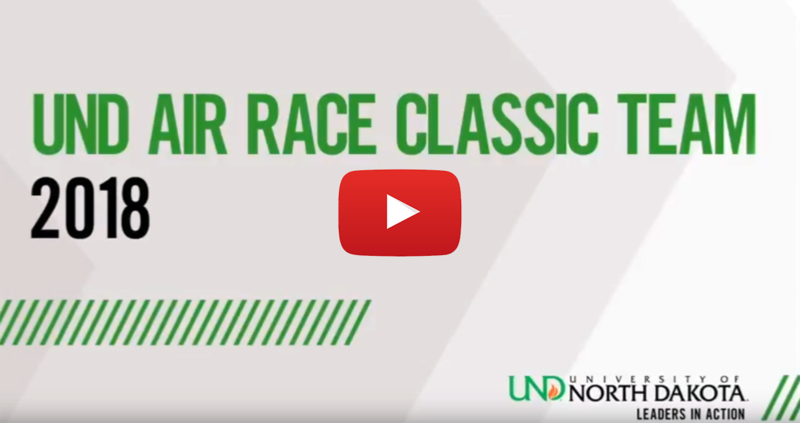 In the past, the team has given presentations on the Air Race Classic event to Girl Scout Troops in conjunction with the UND Women in Aviation Chapter. The team plans to continue sharing our passion at these events and more—inspiring girls and women to dream, do, and become anything.